Every year, my family goes camping on the beach at Assateague Island in Maryland. It’s a tradition that my Grandma started when I was a kid, and something that my Mom has continued since her passing. We setup a few sleeping tents and a few canopies right in the sand directly over the dunes from the beach. The direct walking-access to the waves, the cool breeze at night around the fire, and a whole week living in nature keeps us coming back year-after-year. Being exposed to the elements with only thin tent material protecting us from torrential rain, wind, hail and lightning however can make me second-guess the annual return. One year, the East Coast was forecasting a major hurricane that was moving into the area. Because of this, the park rangers decided that it was necessary to evacuate the entire island. The storm approached sooner than expected, so in the middle of the night, our family found ourselves leaving all of our possessions on the campsite and joining thousands of other campers to run to safety. We had to cross over a bridge that connected the island to the neighboring town, wondering all along if the bridge would survive the storm. Would we be able to return to finish our vacation? Could we return to simply retrieve all of our personal supplies and vehicles? What if someone was left behind? As the storm passed through the night and slowly began to move out of the area, families began to assess the damage, call loved ones, and develop a plan to rebuild their lives. Everyone was interested in returning to the island to gather their belongings, so several of us began to make phone calls to the local authorities. Unfortunately, it was here that we learned that it was nearly impossible to return back because the bridge was washed away, severe damage was done to the island, and the effects of the storm would take years to repair. All of our possessions, gone. Years of family memories washed away by hurricane waves. Vehicles, food, clothes, photographs, toys, supplies…. all gone. Because there was so many people impacted by the storm on the island, local authorities setup a temporary disaster-relief site to help aid families in the transition. After a few days, we learned of the possibility of being relocated to a different vacation site where an organization was willing to even help our family with supplies, food, and the transition process. Unfortunately though, we were told this process could take anywhere from 18-36 days! When we inquired about the length of time, we were told that there had been some vandalism at this location in the past, so the new location wanted to ensure that the new arrivals were properly screened for security reasons. 2. Local authorities had to “refer” us to the new vacation location, essentially vouching that we had been good guests previously. 3. Law enforcement took our information and ran a background check on our whole family. 4. Following the background check, local authorities had us come by the office so they could meet us in-person for an interview about our intentions at the new campsite. 5. Thankfully, everything checked out, and we received approval from the local authorities to recommend us to the new vacation location. 6. But first, we had to have a medical screening to show that we wouldn’t make anyone sick and ruin anyone else’s vacation. 7. We were then matched with a sponsor that agreed to assist us with our arrival into the new campsite. 8. Our sponsor walked us through a thorough orientation of the area, the expectations, and the rules. 9. Before we could officially setup camp though, we had to do a SECOND security clearance. 10. After passing our 2nd clearance, we were able to drive into the new vacation area, however, were stopped before we drove into our camping loop to be patted down and searched one final time. Instead of “thousands” of families evacuating from a vacation, it was MILLIONS of families attempting to escape war. Instead of the transition period to a safe location taking 18-36 “days”, it was actually 18-36 MONTHS! Instead of increased security because of “vandalism”, it was because of repercussions from 9/11 and an innapropriate fear towards Muslims as a whole, rather than identifying the attacks from specifically being from Extreme Islamic Terrorists. The reality is, I made this story up. Well, everything in italics anyway. I do really go camping on the beach each year with my family, and we have encountered some severe thunderstorms, but thankfully, have never had to evacuate the island because of a hurricane. Additionally, we certainly have never been subject to this amount of security screening. I wrote this scenario to shed light on a group of people that have and currently ARE suffering an even worse situation than this. The difference however is that they weren’t on vacation and they have no option of returning home, because it was their home that was destroyed or their town that was unsafe to be in anymore. 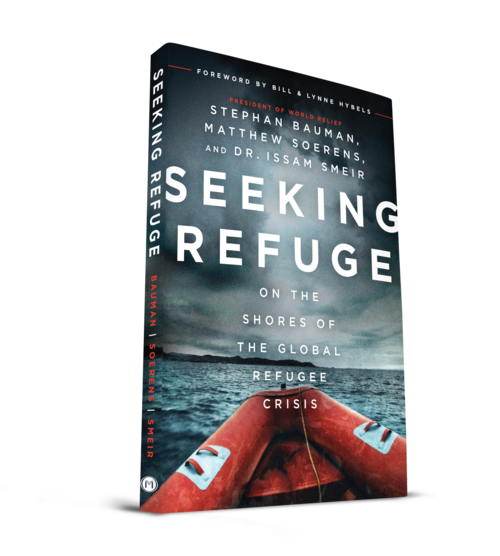 I recently read “Seeking Refuge” by Stephan Bauman, Matthew Sorens, and Dr. Issam Sheir about our current refugee crisis. This eye-opening account of real stories, statistics, and facts debunks many ill-informed opinions about refugees, muslims, and national-security. One highlight in this book for me was the fact that the authors took the time to communicate tangible ways for Christians to get involved with serving refugees through World Relief. Interestingly, when I finished the book, I was out on tour speaking on the Newsboys Tour and we were in Illinois, only 30 minutes from one of the World Relief Resettlement offices! So, I had the privilege of spending the morning with 2 staff members, receiving a tour of the offices, and learning all about the amazing work of World Relief! The visit to the World Relief offices for me was extremely special, because I got to meet actual families that are being impacted by this crisis. I saw whiteboards filled with names of families waiting through the long screening process and their current status. Like many areas of social justice, statistics rarely move The Church into action…but people should. We live in a time where political candidates, media, and even evangelical leaders are using FEAR as a way to manipulate, control and persuade votes, action, economics, and love or hate towards other people. However, how many people have actually taken the time to look at the U.S. Refugee Screening Process that a family would have to go through to enter our country!? I truly believe that if people knew the level of security screening ALREADY IN PLACE, or maybe took the time to meet some of the families, maybe we would see less hate towards a group of people we’ve never even met. Research, engage in healthy dialogue, and think before you draw conclusions about refugees based purely off of media-bias. 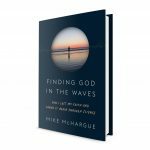 Purchase “Seeking Refuge” to gain a new perspective on God’s love for refugees and how you can be involved! Find ways to love other people locally, regionally, nationally and globally. God’s love for us is enough to go around the table. *I received a free copy of “Seeking Refuge” from Moody Publishers in exchange for an honest review of the book, and I do not receive any compensation from you reading this review or pre-orders / purchases of the book in any way. In my role as a Child Sponsorship Advocate, I attempt to keep my eye out for new resources, books and publications in regards to justice, missions, and poverty. 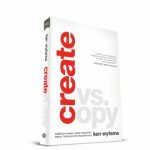 I was thankful for the free copy of this book, and I hope this review shows you how I was inspired by these stories.